Just popping in to make sure that you've heard the news, you guys! Today is Amazon Prime Day over on Amazon.com, y'all! Wahoo! What does that mean for you? Tons of deals and sales you won't see again until Black Friday. 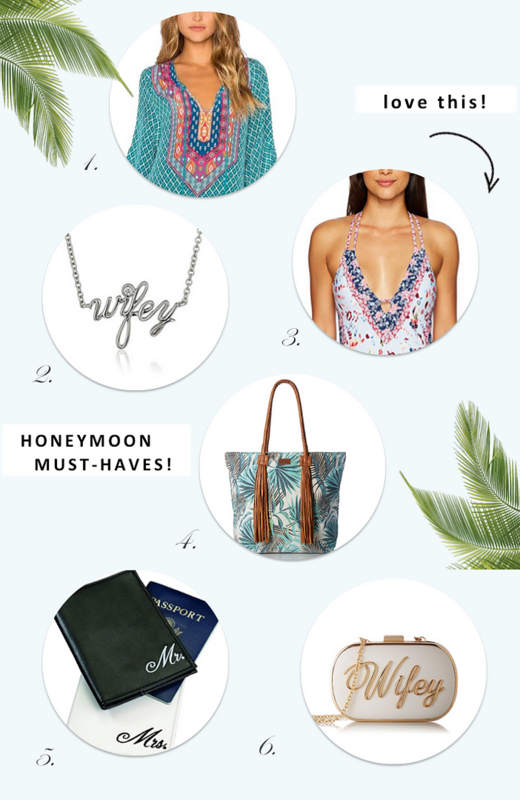 So today I thought I'd gather up my favorite Honeymoon Must-Haves! From Bathing Suits to Swim Cover-Ups, to Beach Totes and Passport Covers. Oh, and did we mention Sunglasses? Whatever you may looking for - rest assured — they truly do have it all! Headed somewhere tropical? Well, you're in luck, m'dears, because today we've rounded up our favorite Amazon Prime Deals - specifically for your destination honeymoon! Oh, and don't forget to check out the lingerie and luggage categories! PS. Here's some items that aren't necessarily a part of the Amazon Prime Day deals — but at these prices? They're definitely deals and they're offered on Amazon Prime! 4 Comments " Honeymoon MUST-Haves at Amazon! " Rolex discovered out of this encounter however it wasn't before 1950s which replica watches might discharge its plunge view. The initial Rolex Submariner started an extended period associated with testing as well as enhancement. The initial rolex replica sale had been created for any 12 months or even much less, as well as which exact same 12 months additional variations from the rolex replica sale had been becoming created or even prepared. Actually, for many associated with it's earlier existence, the actual replica watches experienced a powerful number of not just evolutionary actions, but replica watches sale style testing. It's resulted in an incredibly wealthy region with regard to enthusiasts simply because a lot of variations been around in early stages within the model's background. These days within 2013 the actual replica watches is actually size from 40mm broad, that is absolutely no bigger than moderate through the majority of view requirements. Your amazing insightful information entails much to me and especially to my peers. Thanks a ton; from all of us.